I’m pleased to announce that my latest novel, “The Clone Problem,” is available for pre-order. It drops on 3/3/19. It’s been a long time coming, and I’m very excited to share this story with all of you! At some point over the coming weeks, I may be giving away free advanced copies for those who are interested. Keep an eye out! It’s 2179. Humanity has discovered the fountain of youth. Cloning technology and the Great Database give humans the ability to transfer their consciousness to new and improved cloned bodies. Living multiple lifetimes is a reality. Immortality is a very real possibility. But this scientific breakthrough comes at a steep price. The former United States finds itself in the throes of a Civil War. After decades of relentless persecution, the Clones have seceded from the Union, created the Pacific States of America and declared war on their tyrannical Mortal neighbors to the east. But it is a war the Clones have little hope of winning. They are outgunned, and they are grossly outnumbered. Jack Callahan is a Clone. Disillusioned with a lifetime of war, he is looking for a way out of his seemingly hopeless existence. He finds a glimmer of hope in his search for a mythical world that is said to exist beyond the boundaries of the Great Database. It is there that he hopes to find a way to end the war once and for all. But finding this mythical world is a race against the clock. After decades of searching, the Mortals have located the Great Database. They’re on their way, and they’re determined to destroy the Great Database and the Clones in one fell swoop. 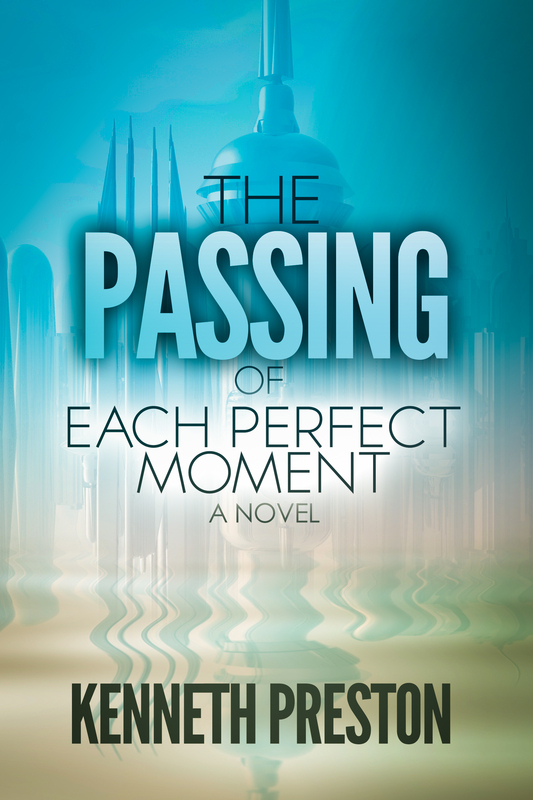 You can get The Passing of Each Perfect Moment for FREE! Nineteen-year-old Emily Díaz is lost, left to wander in a familiar landscape devoid of life. She is lost in a world in which her friends, her loved ones, the entire human race has moved into the future without her. Racing to catch up, she finds herself in a shocking new world, a futuristic world of incredible advancements. Medicine is extending human life, giving scientists reason to believe that immortality will one day be a reality. Famine and poverty have been eradicated. World peace has been achieved. Humanity is reaching deep into the cosmos. It is all so perfect…perhaps too perfect. Emily is skeptical. She begins asking questions. As she finds cracks in the utopian facade, a powerful force from a distant world begins to call to her, begins to beckon her. It wants her, and it will not give up until it has her. She finds herself torn, both terrified and entranced by this mysterious force. She wants to run from it but is inexplicably drawn to it. She doesn’t know what it wants or why it only wants her, but as time marches on, her compulsion to face it begins to take precedence over her fear. Her determination to face the mysterious force sets her on the path toward an unexplored planet sixteen light-years away…where it waits for her…waits to answer the questions she has been asking…waits to show her what it has in store for her…waits to fulfill her destiny. Emily Díaz has a date with destiny. It is a destiny that will have a monumental impact on the fate of humanity. Sign Up for My Readers' Club Newsletter! Sign Up for My Readers' Group Newletter!